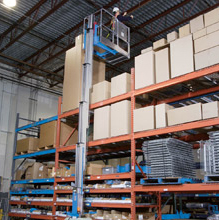 Whether you’re working in a warehouse, or public repairs, the work of an engineer will often require the height assistance. 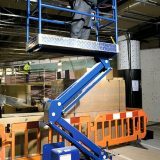 We are experts in powered access platforms, thus we are in a fantastic position to help you with your work. 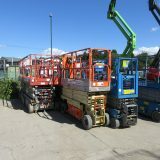 UK Powered Access currently run a fleet of over 300 machines. We also replace our machines with new ones after five years, less than many competitors, to ensure they’re always in great nick and working perfectly. This means you will get a great machine, and we offer excellent support and response times for repairs. UK Powered Access provides the hire/rental of powered access platforms for working at height. 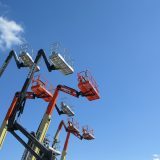 We offer cherry pickers (or boom lifts), scissor lifts, truck and van mounts, as well as other access solutions. Our full range is available below. 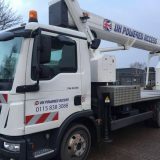 If you need a lift that is not in our catalogue, please ring us on 0115 979 1068; we will without a doubt be able to fulfil your needs. We also offer manual access kit if you need it, as well as lifting gear.